The saying that all good publicity is good publicity is a bravado statement by those who were usually in trouble. Marketing today is a complex and subtle art form. Those who are good at it understand how people tick. This letter and newsletter arrived at my office this week. A bit of harmless fun or something we should take seriously? Firstly, I get the message – as a Company Director you have responsibilities for your staff. If we misbehave and there is a catastrophic outcome you could find yourself culpable. As a business we have policies in place about driving whilst on Company business. Flouting them is a serious matter. 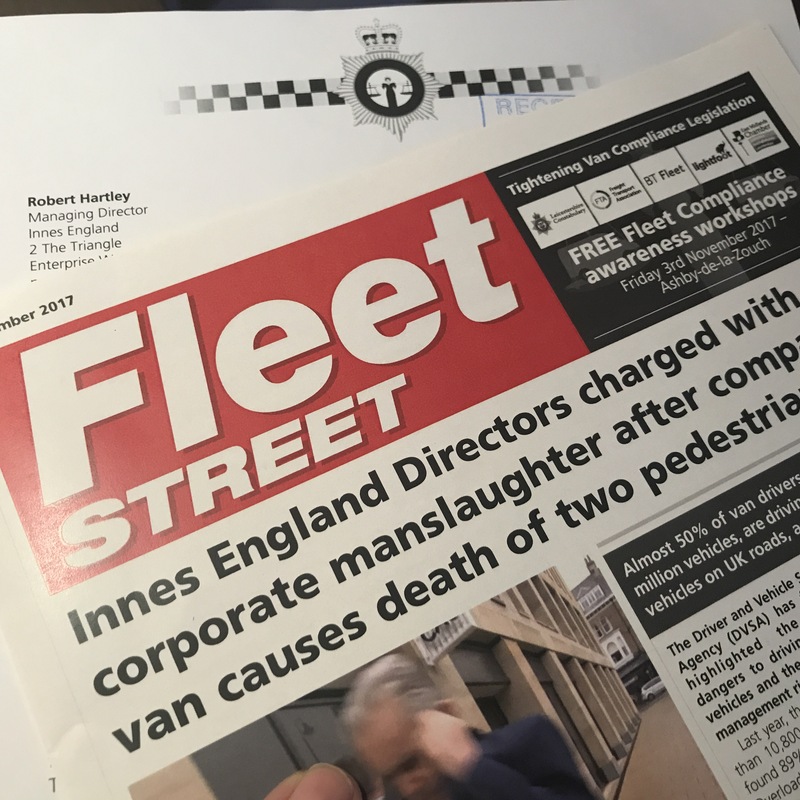 So, a letter which looks as though it is from a Police Force (it isn’t) arrives addressed to my predecessor MD (I took over nearly three years ago) and is about our Company vans – of which we have precisely none. Not a great start then. I have complained to the company concerned – Bott Limited. I also intend reporting them to the Advertising Standards Authority. The whole campaign is, at best, in poor taste, and, at worst, offensive, misleading and wholly inappropriate. ← How to destroy the housing market?